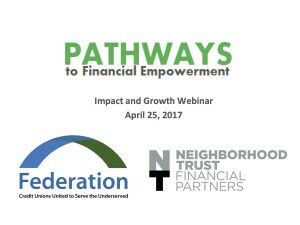 Pathways was launched by Inclusiv and Neighborhood Trust Financial Partners in 2015 and has achieved incredibly strong impact results to date. 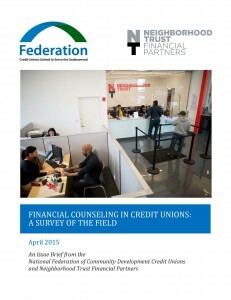 The Inclusiv and Neighborhood Trust are seeking new credit unions to join Pathways in 2018! Questions? For more information, please contact: Michelle Parker or Ann Solomon, Director of Strategic Initiatives, at asolomon@inclusiv.org. Ready to join? Enroll here. 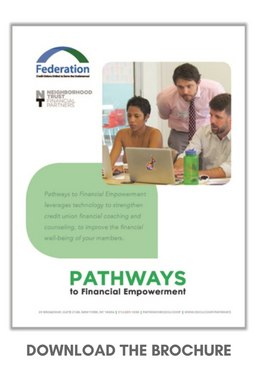 Pathways to Financial Empowerment is made possible by the generous support of lead sponsor, MetLife Foundation, as well as funding from Capital One and the Hearst Foundations.